There’s a trend these days towards using outdoor Christmas lights as decoration throughout the year in gardens, porches, patios and walkways. There’s a wealth of novelty lighting available these days that can be switched out to serve as entertainment lights in the summer and as holiday accents in December. In fact, more and more often, the regular mixture of holiday lighting schemes are being utilized all year round. In many instances, it isn’t even necessary to change the colors to observe a particular season. It’s really just the traditional red-and-green light configuration that needs to be confined to end-of-year decorations. By the same token, any kind of fairy light or colored light can be used at Christmas time to provide that holiday “feel.” There’s no real need to take them down at the end of the season, particularly the battery-pack operated types, when they can provide year-round accents for your yard and garden. LED lights are also energy-efficient and usable twelve months of the year. For variety, you can change the configurations, wrapping them around tree trunks, illuminating walkways, or even creating a starry canopy underneath a tree. This can make a lovely seating area for you and your guests to enjoy long summer evenings under the stars as well as “stars” of your own making. Ensure that all walkways and paths to and from your home are well lit – and your guests won’t want to converse in poorly-lit areas where they cannot see one another’s faces. Buffet tables and other snacking and cooking areas need to be properly illuminated – so that guests can admire and appreciate your culinary efforts by sight, not just taste! They can be wrapped around banisters or draped in strategic places where the effect can be appreciated without being overwhelming. Bedrooms can be adorned with LED- or battery-operated strings, twinkling in children’s rooms all night long in pastel or fairy lights that add a cheery sparkle throughout the holiday season. These types of string of lights have become increasingly versatile and inexpensive in recent years. 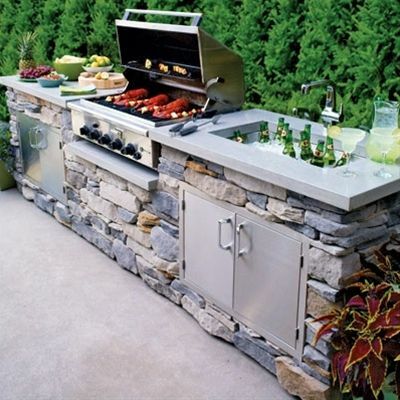 There’s a wide variety to select from—your local home and garden outlet can provide a wealth of ideas. You only need to be restricted by your own imagination! Have you decorated your house with or yard with lights year-round? Share with us in the comments! 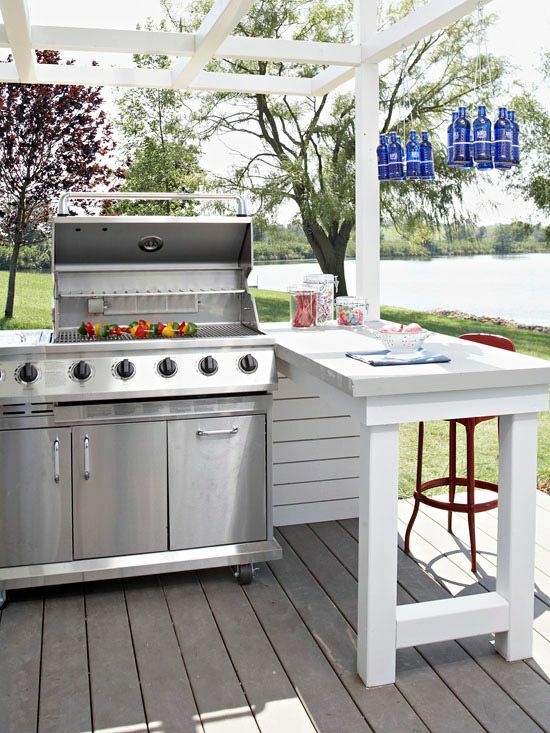 With summer—and barbeque season—close at hand, it’s time to conduct a backyard inspection to make sure that your home is ready for entertaining family and friends over the next several months. How well did the lawn and flower beds come through the winter? Are there brown or bare patches in the grass? Have the shrubbery and other bushes become scraggly and overgrown? Could the lawn furniture stand a good power-washing? Entertaining company on summer afternoons and evenings should be a laid-back, stress-free experience. And, in truth, people are there to enjoy one another’s company. Things don’t have to be perfect for everyone to have a good time. But a little clean-up and repair ahead of time will go a long way towards enhancing your time with friends and family. 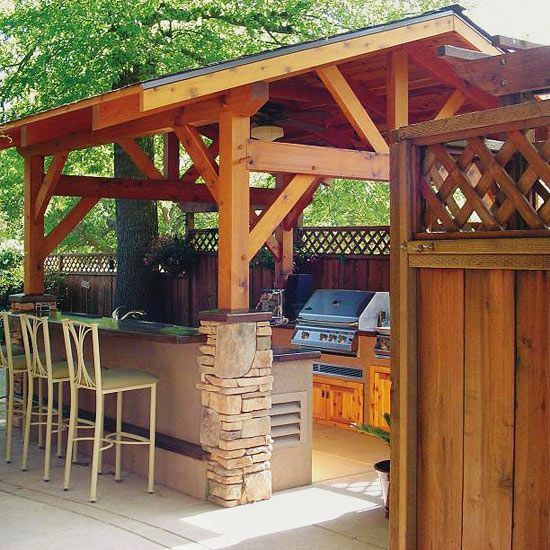 For assistance in sprucing up your home and yard for the summer months, you can always rely on the friendly and capable craftsmen at Handyman Matters to help out with any project, large or small. Call 1(866)FIX-MY-HOME or go to www.handymanmatters.com where you can enter your zip code to find the number of the location nearest you.